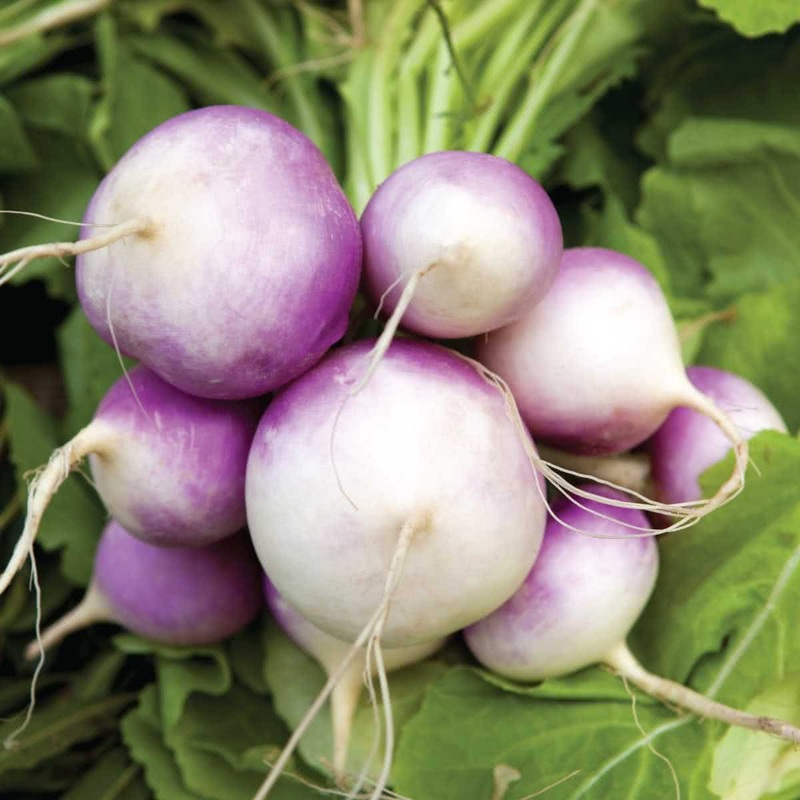 Turnips are very nutritious root vegetable with fresh green tops and purple, white colored root. These vegetables are rich in antioxidants, minerals and vitamins. 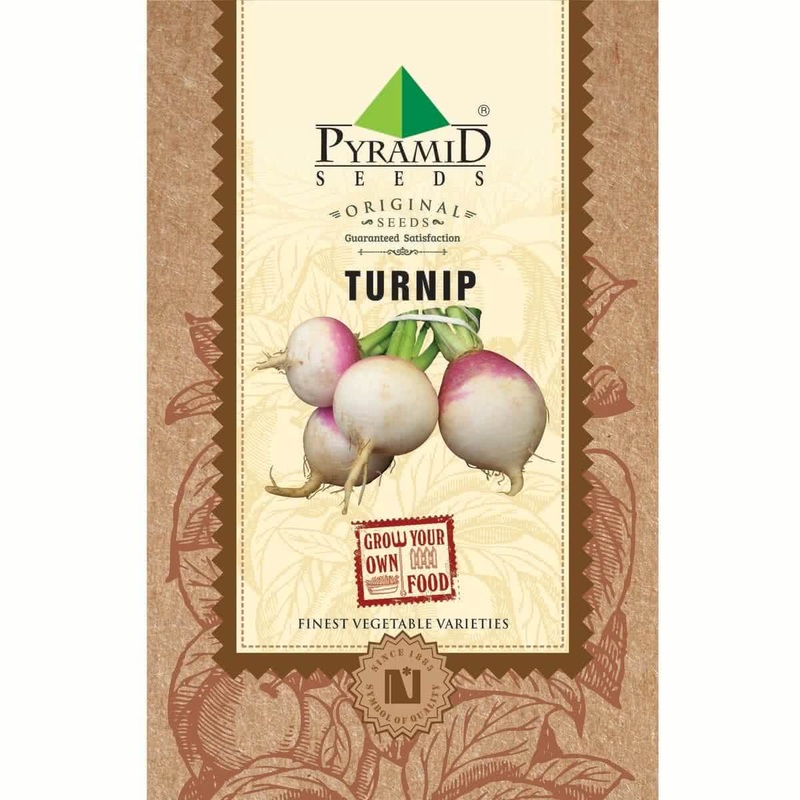 Introduction and Uses: Turnip, also known as Shalgam comes with a wholesome of incredible benefits. It belongs to the Brassicaceae family. This root vegetable is highly nutritious and extremely low in calories. Turnips are known to prevent cancer, improve cardiovascular health, improve bone health, aid digestion, and prevent Atherosclerosis. Because the seeds are small in size, Turnip plant is grown by transplantation method. Seeds are first sown indoors in seedling trays or outdoors on seed beds & later the seedlings are transplanted into the container or in raised beds. Hold the Turnip seeds and sow 2-3 seeds per cell/cup. Since Turnip seeds are small in size, do not sow them deep. Transplantation: 25 to 30 days after the seed sowing, your seedlings will be ready to transplant in container pots or raised beds. Choose a container with a minimum depth of 12-14 inches & bigger spread area (according to available space & your requirement) like big Trays or crates. 1 part garden soil, 1 part Coco Peat & 1 part Vermicompost. Sunlight: Turnip grows well under full sunlight in winter. So place your containers accordingly. Watering: Water your potted Turnip plant every alternate day in winter. Water at the soil near the plant. Use a watering can and make sure that the plants get water in the form of the shower & not by a single flow. You can also make provision for watering by drip irrigation system for your raised beds. Avoid overwatering. Microgreens: If you plan to grow micro greens Turnip, grow it indoors in flat containers. Sow-scatter the seeds in a crowded manner. You can harvest it in 10-15 days by uprooting baby plants. Harvesting: (90-100 days from seed sowing) 60 to 65 days after transplantation, bulbous roots (Turnips) will be ready to harvest. You can get single Turnip per plant. Uproot the Turnip from soil along with stem & leaves.